Former Ford and Toyota executive Andrea Formica's tenure at Fiat lasted less than a year. TURIN – Fiat S.p.A. European sales boss Andrea Formica has left the automaker less than a year after arriving from Toyota Motor Europe to help turn around the company's struggling automotive division. A Fiat spokesman told Automotive News Europe that Formica's departure was by mutual agreement with the company. The spokesman declined further comment. Formica leaves a month after he was stripped of his duties as Fiat brand CEO. 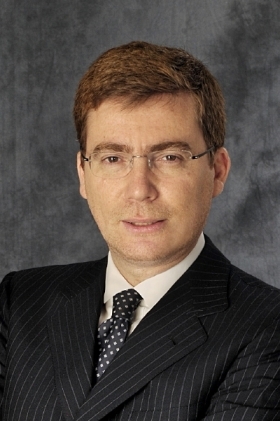 In late July, Olivier Francois was given the key job after previously serving as CEO of Lancia-Chrysler and marketing communication head for Fiat and Chrysler. Company sources say Fiat will give the European sales job back to Lorenzo Sistino, who, before Formica arrived, held the post in addition to his duties as CEO of Fiat Professional, the company's light commercial vehicle division. Fiat veteran Lorenzo Sistino will take over Formica's sales responsibilities, sources say. 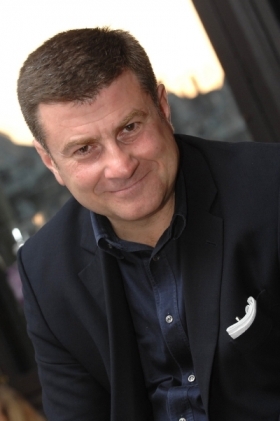 Sistino was head of sales at the Alfa Romeo, Lancia, Fiat car and Fiat Professional brands from January 2009 to October 2010. In his new role, he'll also lead European sales for Chrysler, Jeep and Dodge. Fiat's European head of aftersales, Diego Pistone, will take over Formica's role as head of dealer development, the sources said. Fiat declined to comment on the management changes, stating that it plans to announce its new European organization after the company's newly appointed Group Executive Council holds its first meeting in Turin on Sept. 1 and 2. Fiat-Chrysler CEO Sergio Marchionne announced the creation of the 22-member Group Executive Council on July 28. The council will manage the Fiat-Chrysler alliance as it moves toward a full integration of the two auto making groups. Fiat owns 53.5 percent of Chrysler and plans to add another 5 percent before the end of the year. It's unclear what went wrong between Formica and Fiat, however, one of his most recent attempts to revive sales did cause controversy. The executive debuted a value-pricing strategy for the Fiat brand that included special models called My Life. Fiat and dealer sources said the value-pricing scheme failed to stop the free fall in the automaker's sales and market share, adding that the program caused further deterioration of margins for the automaker and dealers. Through six months, Fiat Group's European sales are down 13 percent to 530,228 units and market share has fallen to 7 percent from 8 percent in the first half of 2010, according to data from industry association ACEA.